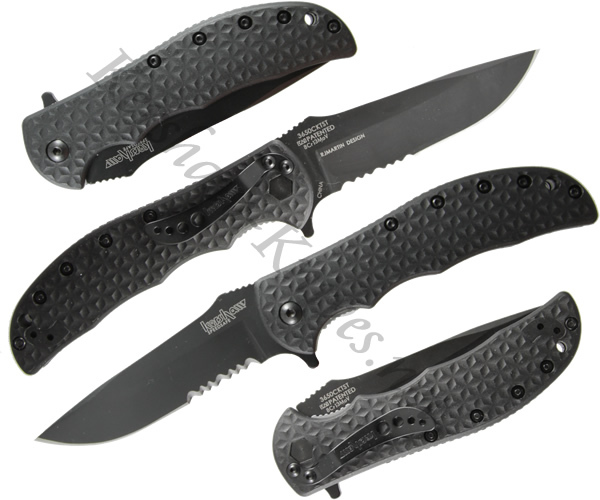 The Kershaw Volt II 3650CKTST features an all-black look with a partially serrated assisted opening blade. The flipper on the spine activates the assisted opening. Once open the knife is held open tight with the liner lock in the handle. The handle is textured and made of glass filled nylon. The Kershaw 3550CKTST is a versatile knife at a great price. What more could you ask for?